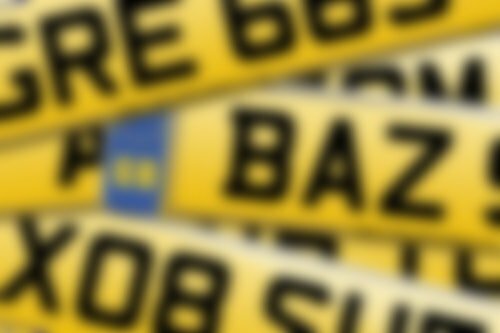 69 Reg Number Plate Release - Registrations Coming Very Soon, Register Your Interest Now! The much anticipated '69' series is being released this coming May and it is a rare opportunity for you to pick up a very special number plate. There will be close to 8,000,000 new registrations added to circulation, with many names and words becoming available to buy for the very first time. Our proven track record means we are your best option for picking up your ideal registration. We have been buying from new releases since 1983's 'A' series, and we have used that experience to develop a method of buying the best registrations quickly on release day. At previous releases we have fulfilled 98% of the orders made by private customers; while other companies and individuals struggled to even access their desired plates we were buying. That sort of success rate speaks for itself. For further details, the latest availability and pricing information, or to place an order for your chosen 69 registration with National Numbers, please call 01642 363738 or search below. 69 series registrations can only be assigned to vehicles registered on or after September 2019. If you don't have a vehicle to put it on you can keep the number plate on a retention document until you are ready. Yes please. I'd like to receive occasional information about new releases, offers and number plates. No thank you. I don't want to receive information about new releases, offers and number plates. These new reg plates can only be assigned to brand new cars registered on or after September 2019, and that means there will be several months before these vehicles even become available (the new number plates become available in advance of the vehicles), so the plates will first be supplied on certificates with an initial lifespan of 10 years. This means you can secure your ideal new number plate now and you have a full 10 years before you need to assign it to a vehicle, or even renew the certificate further. That's plenty of time to obtain a suitable vehicle, but you don't even need to own a car to buy a new car number plate. Many buyers secure plates purely as an investment, never assigning them to cars and looking to sell their purchases later on. If, however, you are lucky enough to be purchasing a brand new car when the 69 new registration plate cars hit the road in September, then you can register your new number plate straight to the vehicle when you pick it up!